The Arc Manche is a geographical area made up of the British and French territories bordering or within the English Channel. an area that promotes European integration and exchange between the UK, France and the rest of continental Europe. 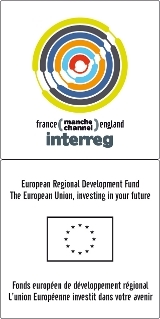 Since 2003 the Channel Arc Manche has also become a political project based on an informal and voluntary network of local authorities which can use the network to share best practices, coordinate initiatives and pull together project ideas to draw in EU funding. Strengthen the partnership between Channel Arc regions through concrete actions and outcomes. In 2005, in order to get more visibility, the local authorities from the both side of the Channel decided to create the Channel Arc Manche Assembly and to adopt rules of procedure. The Executive Committee of the Channel Arc Manche Assembly, which is composed of all its full members, meets at least twice a year. So as to translate its objectives into concrete actions, from 2004, the Channel Arc Manche has accompanied the development of a Franco-British cooperation project, the EMDI project, and has been accompanying the CAMIS project from 2008.